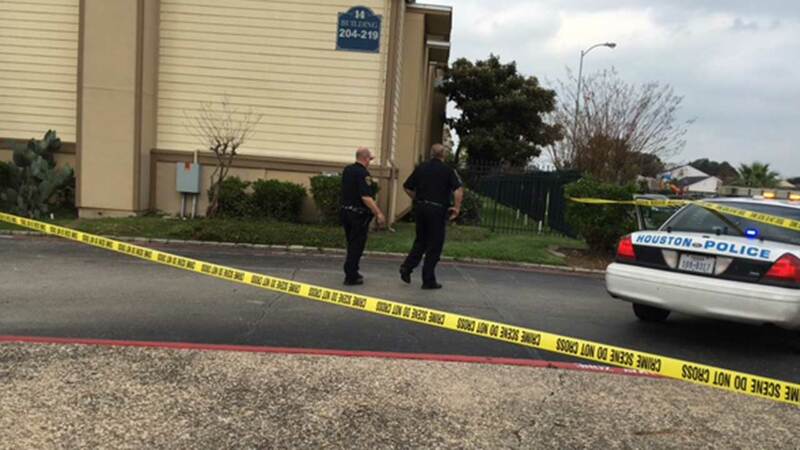 HOUSTON -- Police are looking for the person who shot a man, found after he collapsed outside a southwest Houston apartment complex. Officers found the wounded man in the parking lot in the 7900 block of Corporate just before 1:30pm Thursday. They were headed to a call two blocks away but stopped when they saw fire and EMS crews tending to the victim. "I heard the gunshot. Yeah, about two or tree times," said nearby resident Vincent Akinssete. Akinssete admits that at the time, though, he didn't think the sound was anything more than firecrackers. Police aren't saying or can't say yet what led up to the shooting. They are looking for a gunman but at this point are unable to give a description. The victim was rushed to the hospital but is expected to survive.